The Southshore Recording Studio is a large 1,500 square foot facility incorporating a control room, two studios, and related support spaces. Sound Investment Enterprises was the acoustical designer, system integrator, and projector manager during the construction phase. The control room and studios have excellent isolation between each other through the use of floating, double-wall construction so that no wall has physical contact with their adjacent space. Studio A is designed for a live and full acoustic response with sliding acoustical wall panels that allow the room's liveness to be adjusted for a desired response. With a high ceiling and spacious feel, this room is ideal for acoustical instruments, solo singers, and large vocal ensembles. Studio B has a very relaxed space, with less liveness, suitable for recording dialogue or highly percussive instruments. Both studios have a visual connection through a large 4'x8' double pane window. Multiple headphone cue mixes also allow musicians in both studios to perform together while remaining acoustically separated. Clients have responded very favorably to Southshore's open, relaxed, and comfortable environment. "We love this place...it's easy to be creative...and the sound from the both studios is awesome." 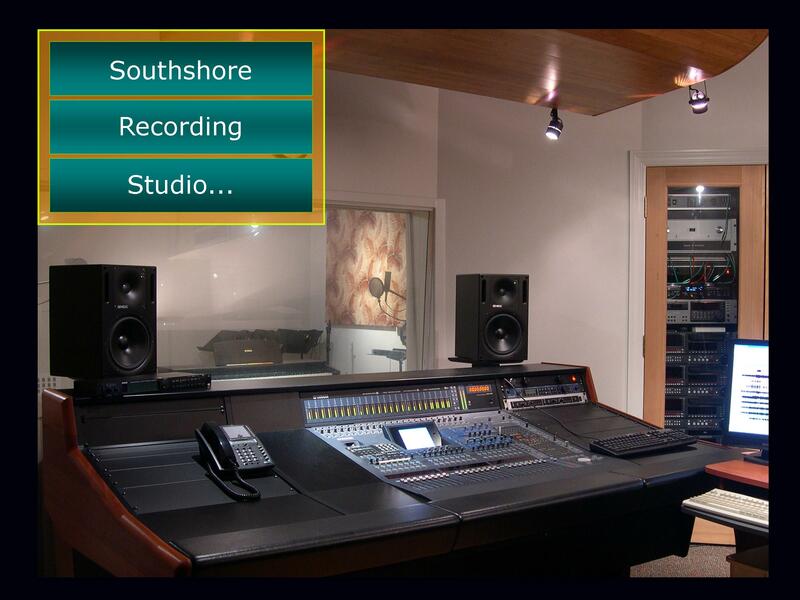 For additional information about the Southshore Recording's facilities, equipment or rates, click here. Check out the studio layout and floor plan.